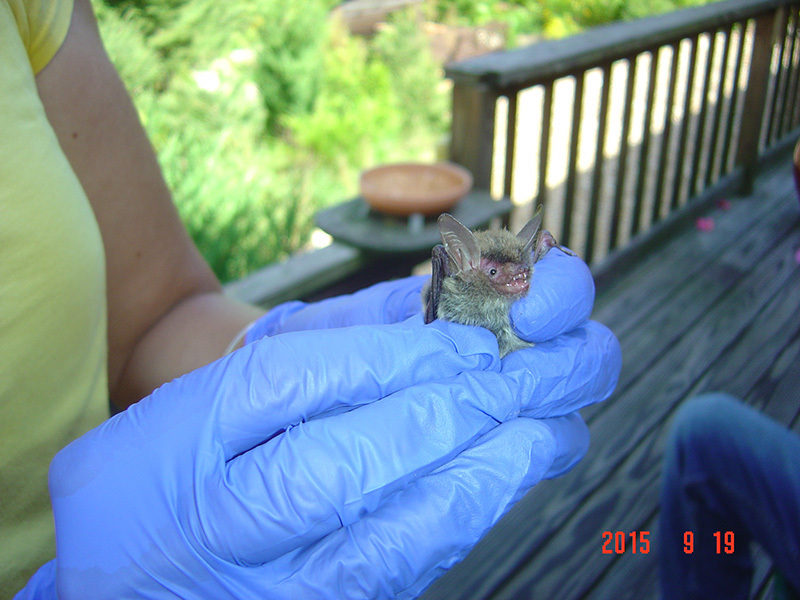 Mild Martha’s Vineyard winters may increase northern long-eared bats’ chances of survival. 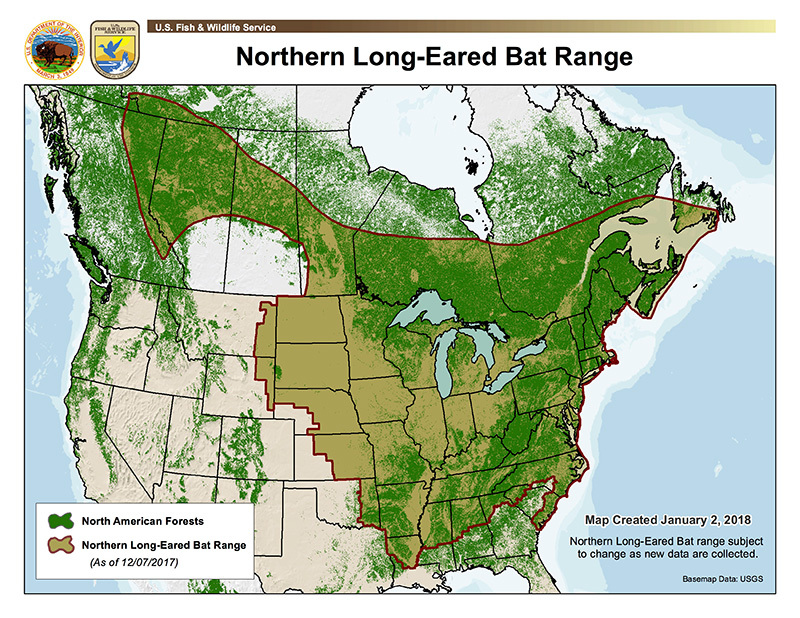 Northern long-eared bats have been listed as threatened on U.S. Fish and Wildlife’s Endangered Species list since 2015, and their survival is contingent on their ability to avoid a pervasive fungus called Pseudogymnoascus destructans, or white-nose syndrome. This fungus first appeared in the United States in eastern New York in 2006, and has since spread quickly up the East Coast into Canada, and as far south as northern Georgia. 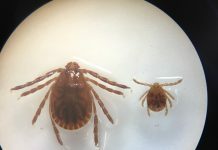 In the past three years, it has made its way westward into Nebraska and down through Texas, essentially covering the entire native range of the species. As Baldwin explained, “The fungus is cold-loving — it can only live in places below 50°, in very high humidity; that means it has to be in a cave, a mine, a crawlspace, or a cellar, someplace really damp.” Unfortunately, northern long-eared bats seek out these conditions for hibernation, and their numbers are becoming scant as a result. The fungus grows on bats’ noses and other exposed parts of the body during hibernation, and causes the bats to awaken prematurely and act strangely. Many come out of hibernation before outside temperatures are high enough for survival, and leave the relative warmth of their cave or mine, freezing to death outside. 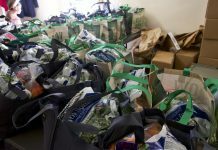 An organization of state, federal, tribal, and nongovernmental groups, partnered with the U.S. Fish and Wildlife Service, and known simply as whitenosesyndrome.org, has found that in many cases, 90 percent of the bats in an infected hibernation location, or hibernaculum, will not survive the winter. Since the fungus arrived 12 years ago, 5.7 million bats in Eastern North America have succumbed, 95 percent of the previous population. 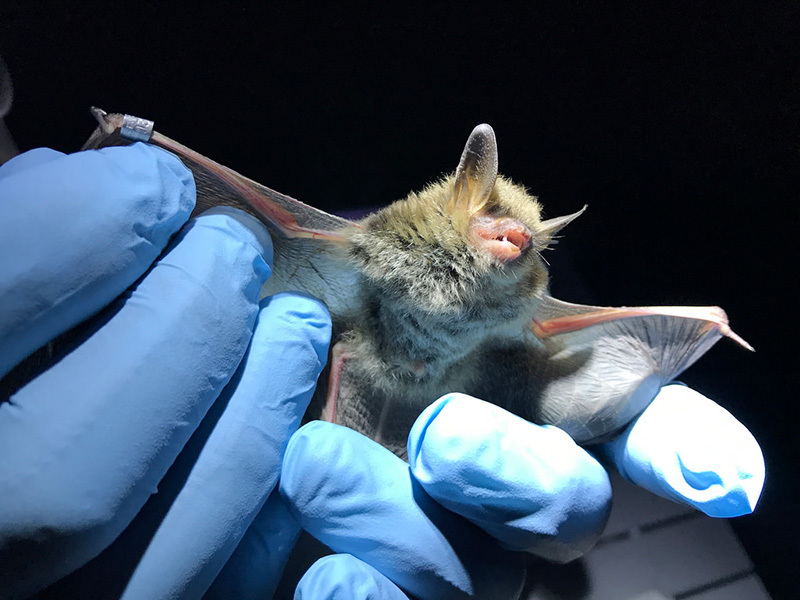 Johnson and Baldwin have been invested in the livelihood of the northern long-eared bat since a northern was found in a swallow’s abandoned nest at the Hoft Farm in 2013, two years after the inception of BiodiversityWorks. 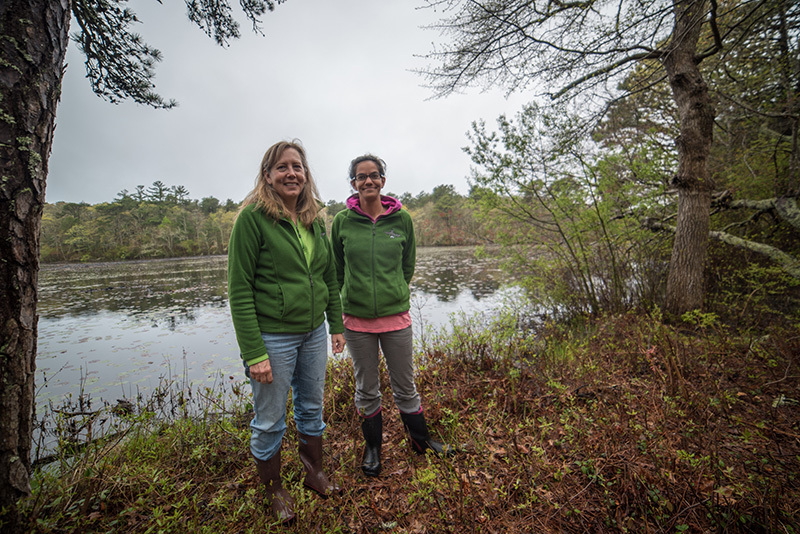 In 2015, Johnson and Baldwin were awarded the Martha’s Vineyard Vision Fellowship to study northern long-eared bats’ distribution, roosting, and migration behavior on Martha’s Vineyard. They have identified and monitored multiple maternity colonies — a group of three to 15 females raising their pups in one location — over the past three summers, and are continuing to monitor these sites in hopes of netting and tracking adults through the winter. This research has been augmented by collaboration with other entities hoping to save these bats from extinction, including the U.S. Fish & Wildlife Service, the USGS Cooperative Research Unit at UMass Amherst and Virginia Tech, the Bureau of Ocean Energy Management, Massachusetts Fish and Wildlife, New York State Department of Environmental Conservation, Massachusetts Department of Conservation and Recreation, local conservation nonprofits, and private landowners. This research is a labor of love and of great necessity, as this population is at risk of extinction if its current trajectory continues. Losing this population is not only a loss of biodiversity, it is also a hit to our farming industry and general well-being. Northern long-eared bats are, like bees, an often unsung hero in agriculture. While some bat species do act as pollinators, northern long-eared bats are among the bat species that dine on insects. As the BiodiversityWorks website states, a single northern can consume up to 3,000 insects in one evening. Bats are exceptionally low-impact, efficient hunters, and their feeding patterns are worth an estimated $23 billion dollars in pest control to the U.S. agriculture industry annually. With this in mind, it’s in all of our best interests to keep bat populations on Martha’s Vineyard alive and well. 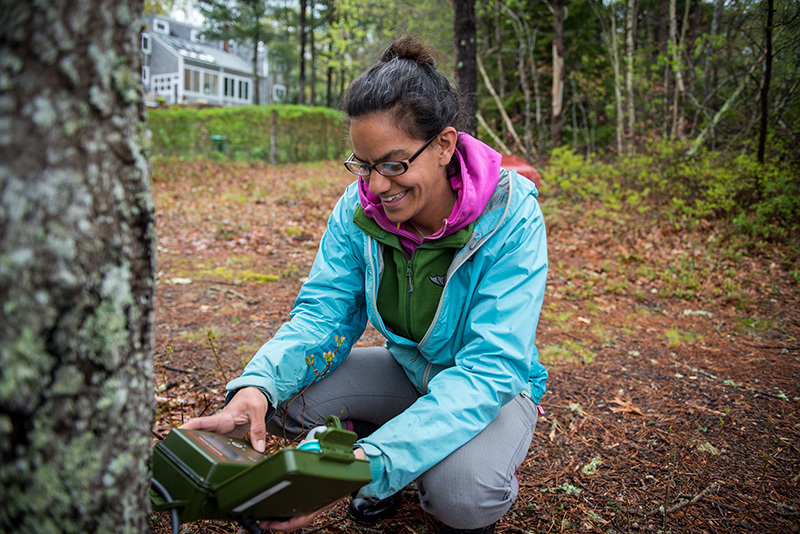 Until last year, there was no evidence that white-nose syndrome had reached Martha’s Vineyard. However, on an especially warm day in February 2017, Johnson received a call from Antone Lima about a bat out in broad daylight. Johnson and Baldwin attached a nanotag tracking device to the bat and let it go, expecting that the bat would reveal where it was hibernating. Instead the bat died just over a day later. 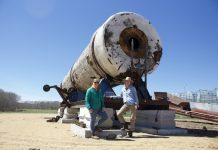 The researchers tracked down the body and sent it to the National Wildlife Health Lab for analysis, where it was confirmed that the bat was suffering from white-nose syndrome. This was the first confirmation that white-nose syndrome fungus is present on Martha’s Vineyard. Despite this disheartening news, there is a beacon of hope for northern long-eared bats on the Island. 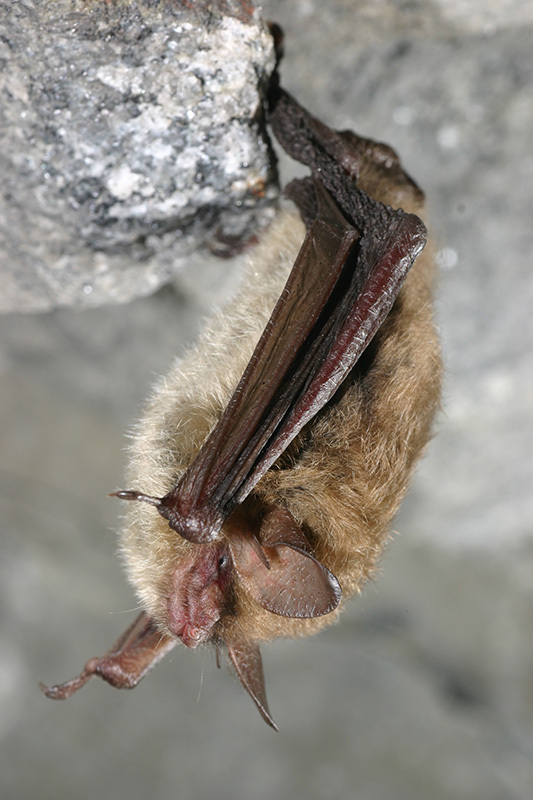 Alongside a handful of northerns that Baldwin and Johnson have tracked in late fall over the course of the past five years, the existence of this particular bat in Lima’s yard during the winter supports Johnson and Baldwin’s growing body of evidence that these bats are overwintering on the Island instead of migrating to caves and mines, as was previously believed. As this theory has developed into a confirmed occurence, Baldwin and Johnson have begun to look for answers to a new question: If these bats are overwintering on the Island and surviving in the presence of white-nose syndrome, could there be something about Martha’s Vineyard that is keeping them alive? Johnson and Baldwin are hopeful about their latest hypothesis. 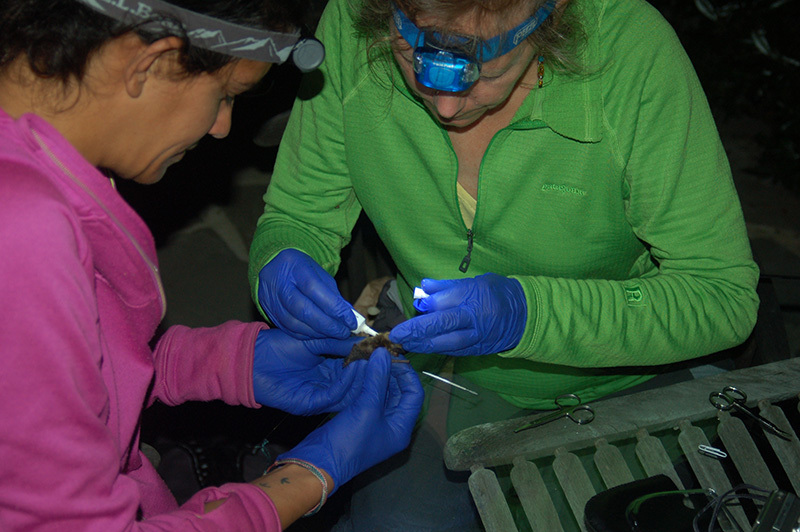 Based on what we know about white-nose syndrome, both women have questioned how the individuals overwintering on-Island are still alive alongside this often fatal fungus. Baldwin suggested, “It might be because our winters are so mild. They’re going into hibernation later, and coming out earlier, which means they’re not having the fungus as long as a bat in Vermont or something, because they can shed it in the summer, before they succumb to it.” The Island’s moderate winters may be the difference between life and death for bats overwintering here, versus those migrating back to mines and caves on the mainland. At the end of our conversation, I wondered aloud if the decline in northerns has any correlation with the growing population of winter moths, and their voracious caterpillar larvae that consume so many of our trees each year. I posed the question to the scientists, and Baldwin mentioned that she’d also wondered, but didn’t have any evidence either way. We’d likely need a larger population of northerns on the Island to produce findings. Luckily, there are a few ways that we can give these bats a leg up in their struggle for survival. Most important, call Johnson and Baldwin at BiodiversityWorks if you come upon a bat roost. As Baldwin shared, “In the summer, they want hot places above ground.” One of these places may even be the eves or trim boards of your house, meaning you may not have to venture far to help out. Mother bats also seek out standing dead trees at this time of year to nurse their pups in, so please be mindful in your yard-work endeavors. If you live alongside the forest, you may also consider installing a batbox, or volunteer to help Baldwin and Johnson out with other BiodiversityWorks projects. You’re bound to learn a ton and have a good time doing it. Previous articleMV Ps & Qs: Restroom or reading room?